Are you shopping for a new Honda truck in Eugene? With the help of the staff at Kendall Honda, you can find the new Honda truck you’re looking for. Shop our inventory of trucks that consists of the lone Honda truck model, the Honda Ridgeline. Learn more about our Honda truck model by getting in touch with our knowledgeable sales team today! Contact us to see how we can help get you behind the wheel of your Honda pickup truck. We look forward to hearing from you and helping you during your visit to your Eugene Honda truck dealer. We happily serve the Lebanon, Sweet Home, and Cottage Grove areas. Find your next new truck when you shop our inventory of new Honda trucks in Eugene. With a variety of trim level options available for your new Honda truck, the staff at Kendall Honda is sure that we can find the pickup truck that suits you. While you’re here, you can also shop our like-new Certified Pre-Owned Honda cars or inventory of used cars. 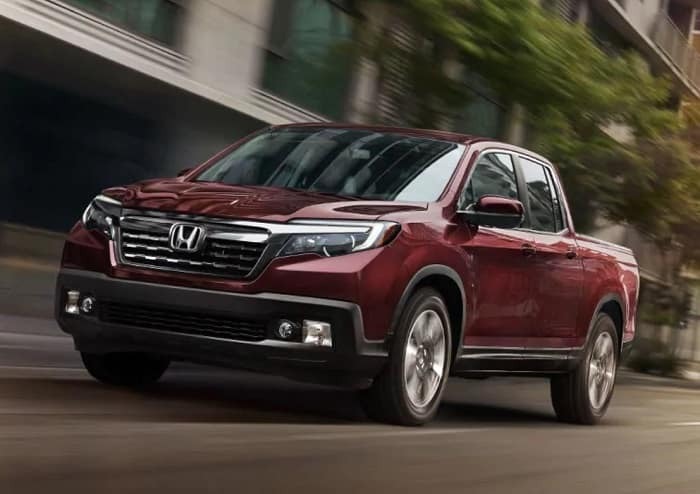 With a number of options with the Honda Ridgeline, we’re sure you’ll find the features in a new Honda truck that catches your eye. Shop our inventory of the new Honda Ridgeline in Eugene and our friendly sales team will help you find the model that has the amenities that are right for you. Each model of Honda Ridgeline builds on the one before it and gives you a plethora of features and upgrades. Shop our selection for the Honda Ridgeline model that speaks to you. Come by your Eugene Honda truck dealership at 846 Goodpasture Island Rd Eugene, Oregon 97401 and shop our selection of new Honda trucks today. You’re sure to love what you find.